At Diamond Electronics, there’s a security system for every lifestyle, budget and need. And they do more than keep you and your family safe and secure…they give you peace of mind and can even keep you connected to your home wherever you are. Our products are easy enough for every member of the family to operate, providing a level of simplicity and convenience you’ll really appreciate. You and your family can enjoy peace of mind 24 hours a day, seven days a week knowing that your home is being monitored by our central monitoring station. These highly trained professionals are always standing by, ready to send help to your home during an event or an emergency. Stay in the know wherever you go with Total Connect Remote Services. This service offers real-time alerts, video viewing and mobile remote control put peace of mind in the palm of your hand —helping you stay connected to your family and home from compatible wireless smartphones, tablets or PCs. Total Connect is all you need to turn your have your security system in the palm of your hand. With the tap of a finger, the Total Connect Remote Services app allows you to operate your security system, receive text messages and e-mail alerts—even view live video on your iPhone®, iPad®, or Android™ devices. Contact our office today to see how we can provide the best security option for your home or business. Diamond Electronics is located in Locust NC and installs and services Charlotte NC and the surrounding areas. At Diamond, your security matters most to us. You will find that our security options are convenient, easy to use, and deliver the highest quality of protection you’ve come to expect from Diamond Electronics. With the use of today’s most cutting edge technology you can stay in touch and feel completely safe with the things and people that matter most to you. With our Wireless security option, you can ensure your system continues to work even if your landlines are down due to a storm, construction or phone line repair. A wireless system requires a Cell unit that acts as a line of communication between your security system in your home or business and our Alarm Monitoring Center to ensure your system reports properly on a continuous basis without any interruptions. You may also choose to upgrade to our Total Connect service. Total Connect allows you to arm/disarm your system from your smartphone, tablet or computer. With added cameras and video surveillance, you can see inside or outside your home or business in real time from these devices when adding Total Connect Service. Diamond Electronics strives to provide quality products, professional installations and friendly, reliable service to our customers. Contact Diamond Electronics today and see how we can assist you with home or business safety and security, with added convenience and control right in the palm of your hand Diamond Electronics is located in Locust NC and services Charlotte NC and surrounding areas. In the world that we live in nowadays, we as a society rely on some sort of technology in most things that we do. With that being said, we at Diamond Electronics can customize a security system for your home or business with the newest integrated technology available. We offer a wide variety of wireless systems with many device options designed to keep you, your loved ones and your belongings safe. The technology available helps you stay in the know wherever you go with the Total Connect Service. This service allows you to have peace of mind in the palm of your hand. With this service, you will be able to remotely arm, disarm and check the status of your security system. You will also have the ability to receive real-time alerts via text, email or video of any event at your home or business such as a child arriving home from school and recent system activity. You can log in and view live video on up to six cameras at a time, which offers a great way to keep an eye on your pets, kids, elderly relatives, your property and your employees. Total Connect service helps you stay connected to your home or business from compatible wireless devices such as, smart phones, tablets or PCs. Contact Diamond Electronics today for all your home or business Security needs. We are located in Locust NC and service Charlotte NC and surrounding areas. Welcome Summer and most popular time for vacations. Whether traveling on a short and sweet mini-vacation or a well-deserved, relaxing long distance trip this summer, you want to know that your loved ones, your home and your treasured valuables are protected from unwanted intruders while you are away. Diamond Electronics offers many unique security solutions designed with your protection in mind. We offer an array of security protection devices, cameras, remote viewing services, fire protection/prevention equipment and many other options to secure your home. At Diamond, we understand that when you are away, you want to safe guard everything you are leaving behind and prevent anything from happening while you are gone. You owe it to yourself to take the responsibility on preventing an intruder and welcoming unwanted activity at your home. Contact Diamond Electronics to hear about the many options that are available to you to protect what you care about most. 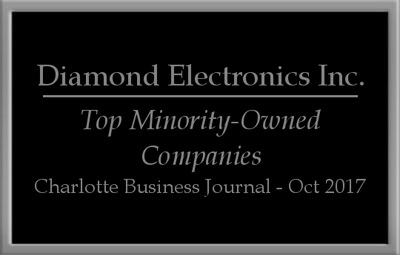 Diamond Electronics Inc. is located in Locust, NC and services Charlotte, NC and surrounding areas. Are you looking at options for securing your home or business ? Having a monitored security system installed allows you live smart and feel safe. Concerned home and business owners want a full range of protection available for their space. Diamond Electronics offers a number of options for every customer and budget. Diamond Electronics uses the latest technology to protect our customers. With motion detectors, remote monitoring service, and more, a security system will help you safeguard your home or business intelligently. When adding our Total Connect service, you broaden your options, having control of your entire system at your fingertips via your mobile device or PC. Contact Diamond Electronics today to discuss your options for having a security system installed in your home or business. 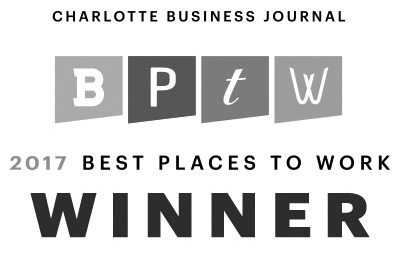 We are located in Locust, NC and service Charlotte, NC and surrounding areas.